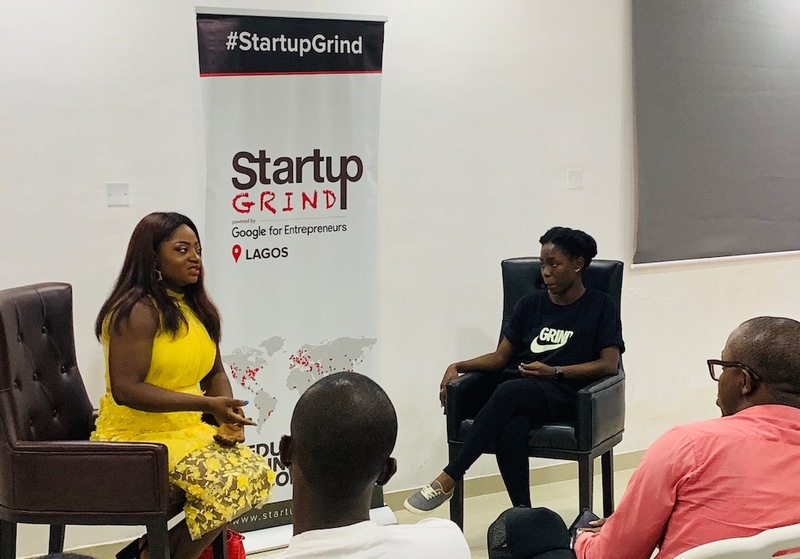 Startup Grind Lagos marched into March with the founder of Olorisupergal, Tosin Ajibade, a thought leader in influencer marketing and the Author of From Social Misfit to Social Media Hero. The event held on Saturday, March 16, at The Nest Innovation Technology Park in Yaba, Lagos. The evening program which began by 4:00 pm started with a "musing" session led by the Lagos chapter director, Uwem Uwemakpan. "The meetups are designed to be intimate; hence, the need for a musing session where we discuss pertinent business issues in an open-house style—everyone can ask, and anyone can answer", says Uwem. For instance, someone asked whether formal education was a crucial requirement when recruiting for a startup? Another person asked if entrepreneurs should ever offer their services for free?. The musing session had to be cut short after 30 minutes, as there was a lot to discuss and share. It was soon time for the OloriSuperGal, Tosin to mount the stage. Within the time given, she shared her entrepreneurial journey with the participants. Afterwards, she granted a fireside chat hosted by Co-director, Blessing Abeng. During Tosin's session, she explained what influence meant and shared four pillars for growing it. They are brand, content, association, and evaluation. Brand: Define who you are. Take stock of where you are and decide where you want to be. Decide your tone of voice, your personality, the experience you want people to have at every touch point and identify your USP. Association: Find a tribe and create concrete brand associations online and offline. Hype your tribe, and they will hype you in return. Evaluation: Take stock again, this time evaluating your actions and the results. Turn the data to insights and rejig your strategy. The event came to a close at about 6:00 pm with a networking and picture-taking session. Benjamindada.com is a media partner for Startup Grind Lagos. Investor Olu Oyinsan advises startups on how to price their B2B product leveraging his experience on both sides of the trading table, buyer and seller.